Full of glitz, glamour, ornate details, and a true style all its own - what girl wouldn't want "The Great Gatsby" look? Whether you are looking to enjoy a casual Gatsby themed garden party or don your most glamorous look at a fabulous cocktail evening, there are plenty of ways to get The Great Gatsby Look and add a flapper-esque flair to any look this spring/summer. Details, details, details. Epaulets, pearls, rhinestones, and sequins were highly used during this time period to add glitz to an evening outfit. Slender silhouettes. 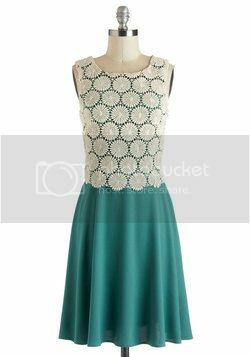 While you could still see a full skirt, long hemline, and high neck, the robe de style dress featuring a drop waist and straight cut was the most popular style. Haute headpieces. 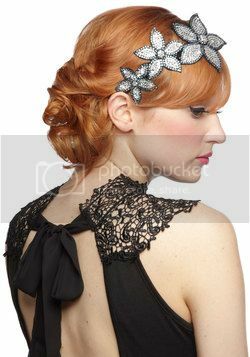 To top off the entire look, add a whimsical & decadent headpiece from ModCloth. You can even DIY a fabulous headband with ribbon, feathers, and gemstones! Oh and I can't wait to see the movie!